It’s safe to say that the Japanese gaming market hasn’t really gone as bonkers for Sony’s PS Vita as they did for the PSP. Heck, the PSP is still selling pretty well, regularly beating the PS Vita at retail in Japan. The Nintendo 3DS, on the other hand, is enjoying a strong adoption in Nintendo’s home country. A lot of that comes thanks to a few pieces of killer software, the most recent of which being the brand new Animal Crossing that has absolutely dominated the sales charts. Media Create, the company that tracks the Japanese gaming market’s weekly numbers, posted the figures for November 5th through 11th in Japan. 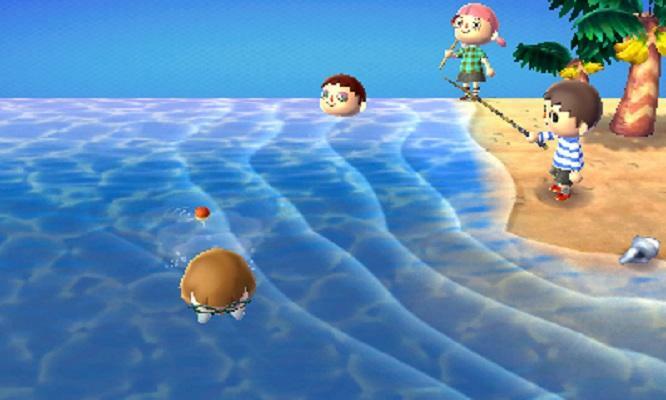 Animal Crossing: New Leaf took the top spot with 600,000 units. That’s huge. Its closest competition was a new Dynasty Warriors game that sold 70,000 units. No, that’s not a typo, Animal Crossing: New Leaf really did sell 600,000 units, 530,000 units more than its nearest rival. All of that software selling (a number that doesn’t include digital downloads that broke 200,000) lead to a nice surge in hardware sales for Nintendo. The Nintendo 3DS and 3DS XL (or “LL,” in Japan) combined to sell 187,077 units. The PS Vita? 4,021. The Nintendo 3DS SKUs sold almost 47 times as many units as the PS Vita. Here’s the kicker. The PSP? You know, the handheld that’s been out for 8 years in Japan? 12,076 units. It’s the software for the PS Vita that has gamers avoiding the product. There wasn’t even a single PS Vita game listed in the top 50 games sold over that week; but, there were five PSP games. Sony needs to find a way to convince Capcom to make the next Monster Hunter exclusive to the PS Vita. That will win Japan.